I've always been a little on the fence with the application of moral ambiguity in the plots of video games. With some games I feel like this is a necessary addition that enhances the gameplay experience into regions I didn't think were attainable. With other games, however, I feel like the concept is shoehorned into the story to artificially expand the experience, or to make the story seem a little more layered than it actually is. I feel that there is great potential to be had with giving the player a moral choice. It's an easy way to resonate with an audience and make them an actual part of the story, but sometimes I feel the opportunity is greatly wasted. For every game that successfully pulls this concept off, another squanders it. The first virtual moral quandary I have endured was experienced while playing Bioshock Infinite. Early on in the story, Booker DeWitt, our main protagonist, "wins" an opportunity to throw a baseball at a racially diverse couple. The first time I played through this story, I decided to not throw the ball at the couple, because I'm not a monster. The second time, however, I subverted my humanity and threw the ball. To my surprise, this didn't affect the events of the story at all. Booker isn't even able to complete the throw; security notices a tattoo on his wrist and grabs him. Whatever choice you decide to make won't change the story at all. The same outcome will transpire regardless of your choice, and I'm not entirely sure why this choice is present at all. Maybe it's a simple test to see if the player is a terrible person, or it's a joke by the developers. For a game with such a layered, complex story, I'm not sure why this is here, as it doesn't add to the gameplay experience and actually detracts from it. It's clunky, unnecessary, and is so significant that it's a shame that it takes away some of the impact the plot imparts on the player. A more offensive example can be found in inFAMOUS, where a slacker teenage kid acquires some godly powers and decides that he has to indulge in either extreme good, or extreme evil. I've never understood the point of this, since human emotion is a lot more complex than either of these extremes. I have always preferred my characters to have some sort of moral complexity to them, as it adds a real human element, which gives an inherent vulnerability and relatable nature to the character. Sure, there is nothing wrong with giving the main character a moral quandary, but when it is simplified down to "save everybody or kill everybody," there isn't much room for the player to have difficulty making choices. The limited window of choices renders the protagonist into a mere caricature, a saint or Satan himself. 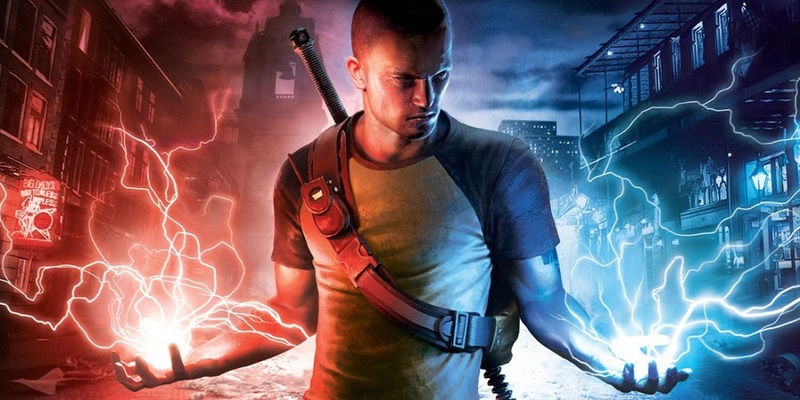 inFAMOUS only uses this concept to extend the gameplay experience, as there is no room for believable decisions that could actually affect the player on an emotional level and make them relate to the story at all. That would just be silly, right? Games like inFAMOUS generally reward the player for making rash decisions on either end, and I don't think this is a good system to implement. Certain abilities are maximized by indulging in one of the extremes, which implies a passive punishment for people who want to remain morally ambiguous with their choices. Sure, the player isn't actively punished by having their gameplay experience hindered by their choice, but it's certainly not brought to its maximum potential. Those who want a fun, layered game experience but also want to participate in a story of any depth are left with a lot to desire. If I wanted to be a super villain, I would hop on GTA Free Mode, where there is no story. A game that manages to implement this concept correctly is Telltale's The Walking Dead. Almost every interaction, no matter how minute, affects the story in some way. Whether it's a major plot change, or a small moment of character development, choices are everywhere, and players are rewarded with realistic outcomes with a lingering feeling of uncertainty. Flaws can be built into characters, moments of redemption can be built into despicable ones, and the unpredictability of life is accounted for greatly. It's incredibly refreshing to have a game so accurately reflect the effects choices have on other human beings, especially in a situation as dire as the zombie apocalypse. Each character is distinct, and when their respective storylines are this fleshed out, it involves the player and lets them empathize with their virtual companions. It's very difficult to break the player-character barrier in a general video game, but The Walking Dead has the ability to shatter it with its intricate system of moral choices. This is, by far, the best implementation of this system I have seen in a video game. It successfully resonated with me on a level I didn't expect, and for that, I applaud The Walking Dead. Another praiseworthy example of this system is Heavy Rain. Although I thought the game as a whole was manipulative and its conclusion didn't make any sense, I thought its application of subverting player choices was mostly brilliant. Although the story is far too linear for the system to be totally interactive, I think its ability to drive an emotional response out of the player is pretty potent, especially in its climactic scene, where our protagonist, Ethan, is forced to drink a vial of poison in order to find his son. The player is given the location of Ethan's son, and the player is also given a timer to reflect Ethan's impending mortality. Although the game cheaps out and reveals to the player that the poison was a fake, the game reaches its peak of intensity in its climax. Even if the game sacrifices its strength and sense of tension in order to produce an optimistic conclusion, the storyline is rich with tension thanks to the player's ability to choose what happens to certain characters. A detective story is definitely the best type of story to apply this system to, and Heavy Rain is able to pull it off to an extent. I have always appreciated games that are grounded in realism, and a large part of realism is the minute choices people make every day. Games with set storylines have always bothered me, because there is no replay value and it forfeits a lot of depth the story could have exhibited. Although I love the idea in theory, I absolutely hate to see it squandered or used as a tool to extend the gameplay experience. Games are a medium through which beautiful stories can be told, and opening the door wide enough to give the player more ways of being told that story is probably one of the best ideas game developers will ever formulate. SentryOG, Deadpool, God and 2 others like this.